The first series of acts have been announced for this year’s Somerset House Summer Sessions. Leading the first series of names, announced today (March 19), is Rosalia, Jacob Banks and Nao, among others. The yearly 11-date concert is returning, this year, to the classic London venue, Somerset House, between the 11th and the 21st of July 2019, with one of their most outstanding line-ups to-date. Joining the trio of stellar names above, which includes Rosalia, Jacob Banks and Nao, is The Internet; Sons of Kemet; Doves; The Good, The Bad & The Queen; Parcels; Cut Copy; Soulection; and Gossip, with more still to be announced. The performance of Gossip, at this year’s Somerset House Summer Sessions, will be the band’s first live show in six years. We’re super excited to announce our line-up for #SummerSeriesGigs 2019 with @AmexUK today. Join us from 11 – 21 Jul for an intimate live experience unlike any other in the stunning surroundings of our neoclassical courtyard. Opening the event, on the grounds of Somerset House, the classic 18th century building that sits on the bank of the Thames, will be multi-genre group The Internet, on the 11th of July 2019, which will be their last stop on their world tour. They’ll be joined, on the opening weekend, by BRIT and MOBO-nominated soul star NAO, on the 12th of July 2019. Following on from, soul star Nao’s performance, will be followed by performances by Sons of Kemet, on the 13th of July. With Jacob Banks, who is returning as a headline act after his support slot in 2013, set to perform, on the 14th of July 2019. 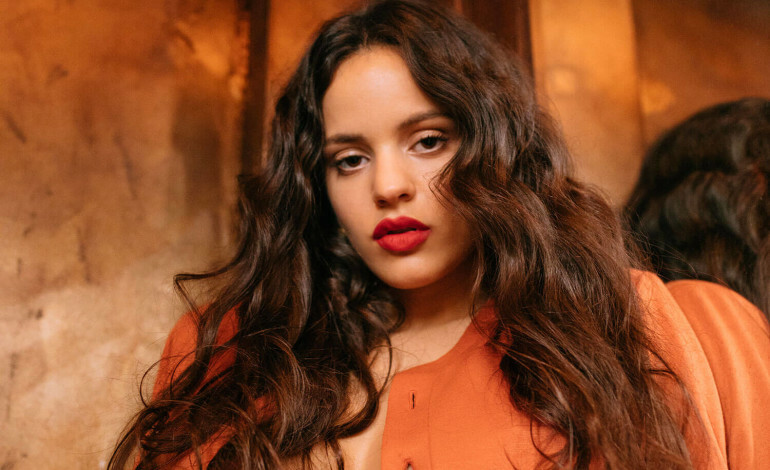 Meanwhile, Spanish popstar Rosalía tops the bill, for her biggest UK show to-date, on the 15th of July 2019, with the trio, Doves, set to follow, on the 16th of July. They will be followed by The Good, The Bad and The Queen, consisting of Damon Albarn; Paul Simonon; Simon Tong; and Tony Allen, who are set to headline, on the 17th of July 2019. After opening the show, with a performance from The Internet, the likes of Parcels; Cut Copy, and Soulection, will follow in the proceeding days. Before a concluding show by Gossip, on the 21st of July 2019. The full line-up for this year’s Somerset House Summer Sessions can be seen below. Tickets go on sale, on Friday the 22nd of March 2019 this Friday, at 10AM and can be purchased here. Taking place in the heart of the nation’s capital, the outdoor event, held in the Courtyard of Somerset House, offer unique panoramic views of the capitol as the backdrop for some amazing music. The festival is used to having some of today’s biggest names perform, with the likes of Adele, Paloma Faith, Calvin Harris, Sam Smith, PJ Harvey, and many more collaborating with the festival.